INKin' All Night! : Happy Sep 1st Day!! Hi and happy September 1st!! For us in the Stampin' Up! 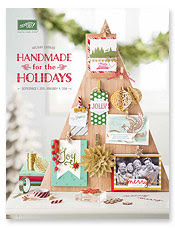 world, it's a great day as the NEW HOLIDAY CATALOG is live and YOU can begin placing orders today! Get your hands on some of the cutest, on trend, must have seasonal products! And well, it's a Tuesday so that also means that there are new WEEKLY DEALS to be had and there's also 10 days left to begin your PAPER PUMPKIN subscription at 50% off!! to save 50% on your 1st two months! 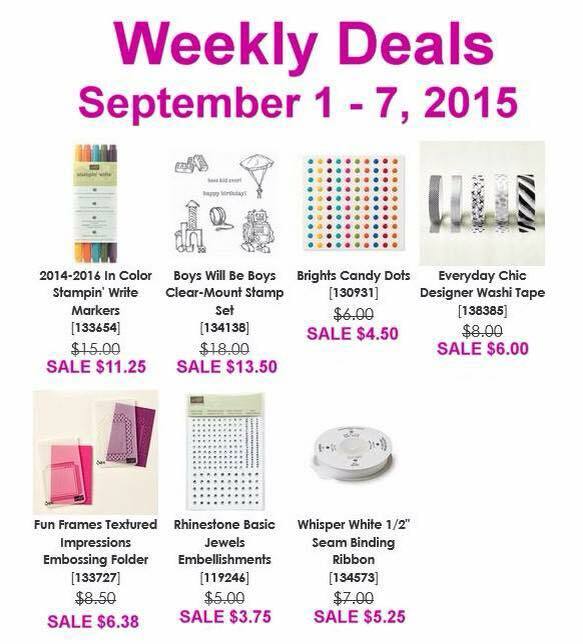 Make sure to add some Rhinestone Jewels & Dandy Dots to your shopping cart when you check out the Weekly Deals!! They are great little pops of WOW to add to your cards and projects! I appreciate you stopping by and placing orders too - I am so close (but yet quite a bit of a stretch too) to a Career Sales Milestone Goal that I am trying to achieve by the end of the Month, so every order helps me get there! To all of my loyal stamp customers, I just want to say that I really do appreciate you and your business! And since I have NOT been very diligent at posting on my blog, please make sure to like my Biz Facebook Page and follow me on Instagram and Pinterest too as I post there more frequently! I have ALL of our Fall Fest event to share with you along with a couple of swaps that I joined in on too! So yes, I just need to get the pictures uploaded, edited & watermarked and then I'll be back in business! Since GEEZ ... I am an empty nester now with both girls off to college at the University of Arizona now!